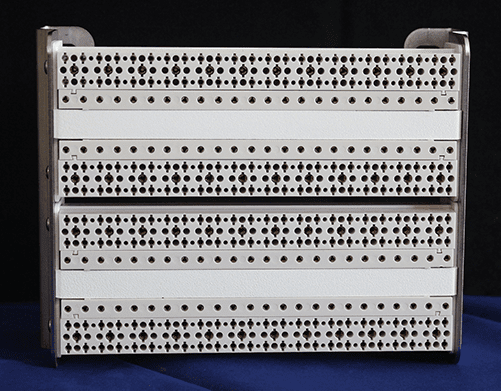 The MAQS Base 48-Port Block can maximize cabinet investment by eliminating the need for forklift replacements at existing FTTC sites as port exhaustion is approaching or when implementing Vectoring. The reduced footprint of the 48-Port Block maximizes performance and data rates while doubling port density and reducing cabling by 40%. It accepts the G.fast Splitter Module, the Single Primary Protection Module and the In-Line Tester Modules. 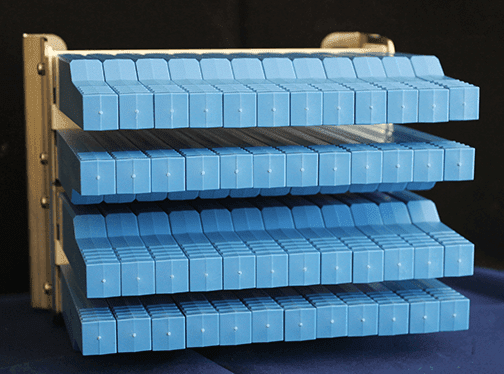 In a POTS/DSL overlay application, each MAQS-48 can take the place of two fifty position 5-pin protector panels. Each module replaces two 5-pin protectors and provide Primary protection on both Line and POTS. The MAQS plug-in modules provide quick and easy configuration changes. Output cables are available unterminated; with MS2 connectors or with 710 connectors.